Do you believe that Ring Around the Rosie refers to the Black Death? 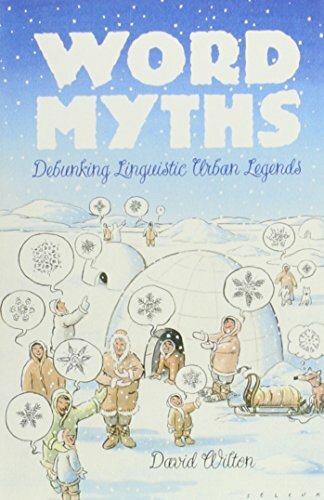 Or that Eskimos have 50 (or 500) words for "snow"? Or that "Posh" is an acronym for "Port Out, Starboard Home"? 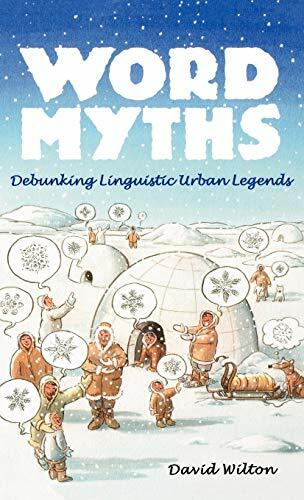 If so, you badly need this book. 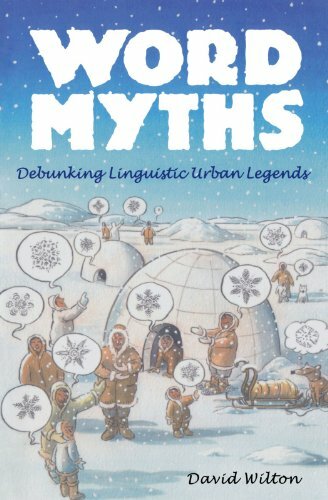 In Word Myths, David Wilton debunks some of the most spectacularly wrong word histories in common usage, giving us the real stories behind many linguistic urban legends. Readers will discover the true history behind such popular words and expressions such as "rule of thumb," "the whole nine yards," "hot dog," "raining cats and dogs," "chew the fat," "AWOL," "under the weather," "in like Flynn," "Dixie," "son of a gun," "tinker's damn," and many more. We learn that SOS was not originally an acronym for "Save Our Ship" or "Save Our Souls," but was chosen because the morse code signal (3 dots, 3 dashes, 3 dots) was easy to send and recognize. Also, "let the cat out of the bag" does not refer to the whip (the "cat") used to punish sailors aboard ship. The term "upset" (to defeat unexpectedly) does not date from the horse race when the heavily favored Man O' War was beaten by a nag named Upset (Upset was the only horse ever to defeat Man O' War, but the word predates the race by half a century). And Thomas Crapper did not invent the flush toilet, nor do the words "crap" or "crapper" derive from his name.